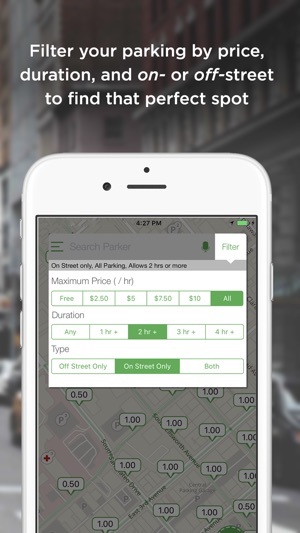 Parker provides motorists with real-time guidance to available parking on-street and off-street lots/garages. 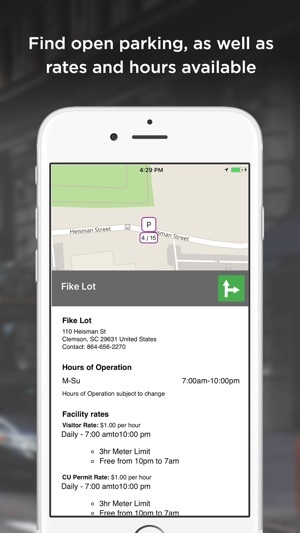 Easily access pricing, time limits, hours of operations and parking restrictions, so you can park without worry. Parker conveniently allows you to tap over to mobile payment options such as ParkMobile, Passport and Pay-by-Phone, where available. Access to rates, hours, addresses and more. 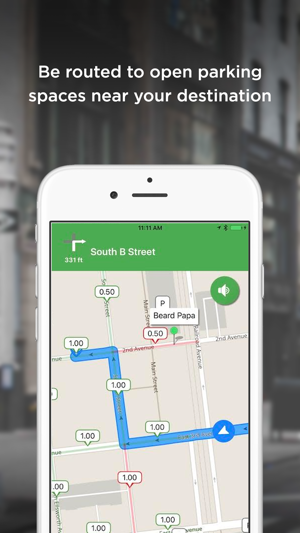 Turn-by-turn route navigation automatically directs you to an open parking space near your destination (where data is available). 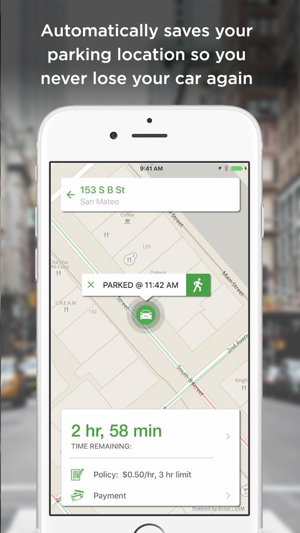 Saves your car’s location and offers walking directions back to your car. Up to the minute parking availability is offered in the following locations. Note: Parker uses location and motion activity in the background to detect that you have parked your car. 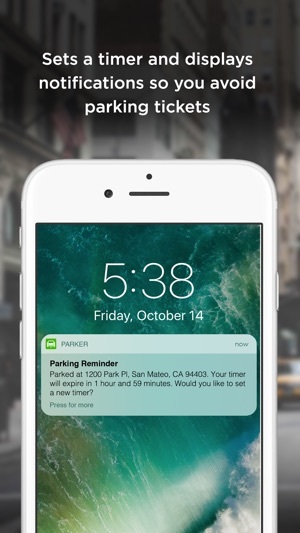 This enables Parker to show you where you parked. Disclaimer: Please check all applicable regulations in your location before parking. I am looking at my car in my drivewAy, yet Parker just sent me a message indicating that my car is parked about a mile away on a street I have probably never even driven on. even as My husband is driving on the highwAy and I am sitting next to him, Parker sends a message that I am parked. What is wrong w this app???? I have no confidence that Parker would actually work properly if I ever needed to use it! I get CONSTANT reminders from Parker telling me where I’ve parked. These reminders come from sitting at red lights, stopping at stop signs, and using the drive thru ATM... I didn’t have this issue before until I updated the app recently. Great idea team and great work! I really like using the app and think it has a very user-friendly design. 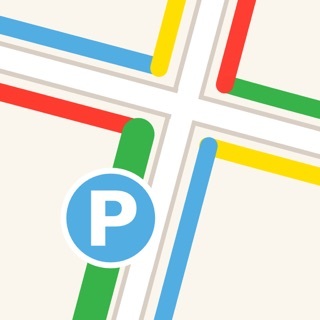 Especially since users need a simple app to interact with when they are trying to find parking. (One small thing here is that I found the blue arrow icon challenging to activate for opening directions...) I really enjoy the transparency of the top screen banner (wifi icon, time, etc) that shows the maps underneath. I only tried this in downtown San Jose and it definitely helped me find parking/garages! I would really love to see more data around pricing and then also an easier way to compare rates. Specifically in San Jose, rate info was a bit sparse.